A.J. Gaiter is a one-man band that performs shows raw and unashamed, warts and all. His performances make him a perfect candidate for a live record so that is precisely what Little Class Record released for him. Gaither likes to get rowdy like on “Don’t Wanna Go To Heaven” and “Ain’t Enough Whiskey” and work the crowd into a frenzy with his kick drum and fast strumming. He also turns the pace down well as he coasts into the reminiscing “Old Truck” and examines his path on “Faith or Fate.” Once you hear Gaither’s rough backwoods snarl and stories of whiskey, weed and worse, it will click with you why he is on the same record label as Missouri Homegrown. This entry was posted in Album at a glance and tagged A.J. 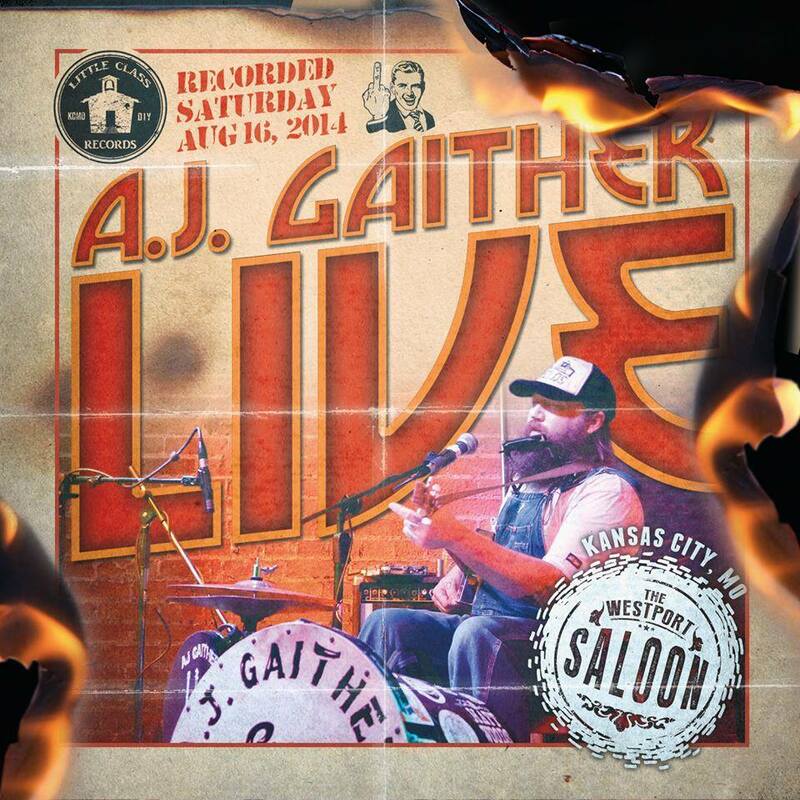 Gaither, album at a glance, album review, Kansas City, Little Class Records, Live at The Westport Saloon. live album, Missouri, one man band. Bookmark the permalink.